Sailors from 62 nations are set to compete in the 2017 edition of the Youth Sailing World Championships from 9-16 December 2017 in Sanya, China. More than 380 competitors will race across nine youth events over five days of racing in a bid to follow in the footsteps of some of the greatest names in sailing who have competed at the event. 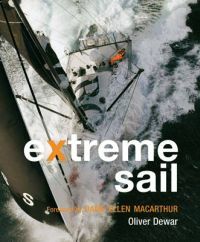 Some of the famous faces include Ben Ainslie (GBR), five-time Olympic medallist, Russell Coutts (NZL), America’s Cup winner, Santiago Lange (ARG), Rio 2016 legend and Alessandra Sensini (ITA), one of the most successful Olympic sailors of all time. The names collected on the nine perpetual trophies, since the events inception in 1971, reads like a who’s who in sailing. The world’s best youth sailors will all be heading to Sanya aiming to write their names in the history book to emulate the stars of the sport. The Girl’s Laser Radial fleet will welcome 40 talented competitors. Sailors with experience at the Youth Olympic games and World Championships will all be at the start line. The one name that shines in the fleet is Uruguay’s Dolores Moreira Fraschini. At just 18-years-old, Fraschini has achieved a lot in her short career so far. 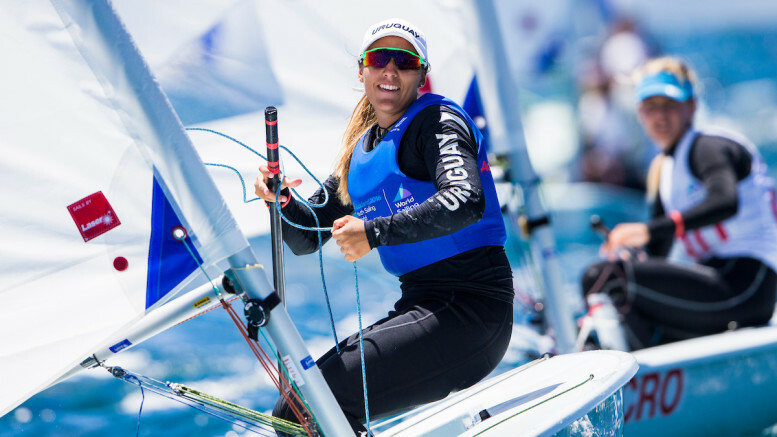 In 2016, she qualified Uruguay for a spot at the Rio 2016 Olympic Games in the Laser Radial and was selected to compete for her nation. Not only was she selected but she was chosen to carry the Uruguayan flag in the opening ceremony. Just a few months later at the 2016 Youth Worlds in Auckland, New Zealand, she claimed gold for herself and nation in the Laser Radial fleet, capping off a tremendous year of competitive sailing. Fraschini is the only returnee of the medallists from 2016 and will be looking to defend her crown against a very strong line up of sailors. In the entrants is Hannah Anderssohn of Germany. Anderssohn beat Fraschini to gold earlier this year at the Laser Radial Youth World Championships in Medemblik, the Netherlands and knows what it takes to win. Charlotte Rose (USA) finished third behind Anderssohn and Fraschini at the Radial Youth Worlds. She will also be in Sanya, aiming for the podium once again. It’s not just Youth Worlds experience within the Laser Radial fleet. Australia’s Elyse Ainsworth sailed at the 2014 Youth Olympic Games in Nanjing, China. Racing in the Byte CII, Ainsworth finished 24th but since she stepped into the Laser Radial, she has finished amongst the frontrunners at Sailing’s World Cup Series Final in Melbourne in 2016 and is improving in the senior ranks. In the Boy’s Laser Radial, there will be 51 skilled sailors competing in Sanya. Amongst that fleet, the winner of the 2017 Youth Laser Radial World Championship, Dimitris Papadimitriou (GRE), will be attending and seeking to claim the top spot. Papadimitriou dominated the Laser Radial Worlds, winning by a considerable margin over Matias Dietrich from Argentina. Dietrich will be in Sanya and has been training to improve on his Radial Youth Worlds performance to take gold home for Argentina. Josh Armit (NZL) missed out on Bronze at Radial Youth Worlds via a countback. Armit will be attending the Youth Worlds hoping to make amends. Only two returnees from the top ten of the 2016 Youth Worlds will return for 2017. Dominik Perkovic (CRO) and Clemente Sequel (CHI) finished ninth and tenth respectively and will be aiming to improve on their performance on Chinese waters. In the Boy’s RS:X fleet, 25 sailors will be attending the 2017 Youth Worlds. 2016 Youth Worlds champion, Yoav Omer (ISR) dominated last year but he has now entered the senior fleet and will not be participating in Sanya. However, Sil Hoekstra (NED), who finished with silver, and Chen Hao Chen, who claimed sronze at the 2016 Youth Worlds will both be racing in Sanya and know what it takes to finish on the podium at the pinnacle event for youth sailors. Fernando Gonzalez de la Madrid Trueba (ESP) and Andy Brown (GBR) came seventh and eighth in the 2016 Youth Worlds but with one year’s experience now in the bag, they hope to move up the leader board. In the Girl’s fleet, the 2016 champion, Emma Wilson (GBR) returns to Sanya hoping to defend her title. Wilson finished second at 2015 Youth Worlds in Langkawi, Malaysia and continued her success by beating Katy Spychakov (ISR) and Maria Belen Bazo (PER) by a hefty margin at the 2016 edition. Five sailors who competed in the 2016 Youth Worlds look to return for better chance in Sanya. Competitors include, Giorgia Speciale (ITA), Rina Niijima (JPN), Mariana Aguilar (MEX), Lidia Sulikowska (POL) and Derin Gunenc from Turkey. Racing will also take place in the Boy’s and Girl’s 420, Boy’s and Girl’s 29er and the Open Mulithull, the Nacra 15.